My client a top global Freight Forwarder is looking for a candidate to join their Pricing/ Inside Sales Team, due to growth they are now looking to take on a candidate with at least 12 months of experience within Freight Forwarding, ideally you will have a working knowledge of Air and Sea Freight either Imports and Exports and are now looking to move into a more commercial position. Team players and people who have an energetic and enthusiastic attitude to work would be preferred. Fresh, energetic, enthusiastic, dynamic, are ideal qualities for the ideal candidate. 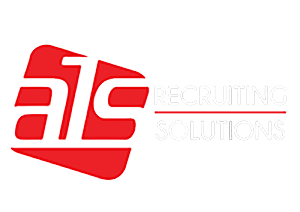 In return my client offers a fantastic working environment where development and progression are promoted, a global freight forwarder with a reputation for staff retention and a recognized leader within the Freight and Logistics industry. MY CLIENT IS ONLY CONSIDERING CANDIDATES WHO ARE CURRENTLY WORKING WITHIN FREIGHT FORWARDING OR WITHIN SALES WITHIN THE FREIGHT INDUSTRY, IF YOU HAVE NO EXPERIENCE WITHIN FREIGHT FORWARDING PLEASE DO NOT APPLY AS MY CLIENT WILL NOT CONSIDER YOU.